Healy Consultants provides our Clients with i) nominee shareholders and directors and ii) professional agents and distributors. Detailed due diligence is available for each national. Alternatively, Healy Consultants will assist our client find office premises, industrial land space and or warehouse space. We specialize in commercial property rentals and sales, from serviced offices and small spaces to entire floors and buildings. Entrepreneurs completing business formation in benefit from the numerous intellectual property laws. Healy Consultants will assist our Clients with trademark and patent registration. Registering your brand, trademark, and designs is particularly important. Helps secure funding from lending institutions and other sources. If our Clients are satisfied with the outcome of the feasibility study, Healy Consultants will prepare a detailed business plan. A business plan provides a “roadmap” of how the business will be created and developed. The business plan provides the “blueprint” for project implementation. We have extensive experience of providing advice on all types of commercial agency arrangements such as franchise, distribution, agency and commission arrangements and on the impact of local laws on such arrangements, including advising on the effect of these arrangements being registered with the local authorities. We have advised both local and international partners on a large number of joint ventures in the region which require a detailed knowledge of the local licensing and regulatory environment. Specifically, our services include i) IPO listing or private placements ii) conducting legal due diligence iii) selecting underwriters iv) advising on laws relating to securities offerings v) secondary offerings vi) drafting the prospectus vii) advising on regulatory strategies and compliance viii) assist funding the acquisition. Designing and implementing and critically evaluating i) management and financial control systems ii) internal controls iii) policies and procedures iv) accounting, inventory, payroll, costing, budgetary control, and management information systems. Our expertise which spans all aspects of corporate structuring and restructuring includes i) due diligence on share and asset acquisitions ii) drafting restructuring agreements iii) changes to corporate ownership iv) company turn-around v) design an exit strategy vi) implement internal control systems, policies, and procedures. The financial management consultancy services offered by Healy Consultants include i) capital budgeting ii) risk analysis of investments iii) financial analysis iv) finance planning v) feasibility studies vi) debt and equity finance vii) working capital management. Before buying a business, Healy Consultants will assist our Client i) study the company’s products and current infrastructure ii) analyze revenues and profitability iii) ascertain growth plans and iv) evaluate company management. In addition to estimating the selling price of a business, valuation tools are often used by business appraisers to resolve disputes related to estate and gift taxation, divorce litigation, allocate business purchase price among business assets, establish a formula for estimating the value of partners’ ownership interest for buy-sell agreements, and many other business and legal purposes. Healy Consultants provides debt collection services. The use of a debt collection firm is an excellent way to demonstrate the seriousness of debt default. Customers pay faster when a debt collection firm is employed. On behalf of our Clients, Healy Consultants will communicate with debtors to negotiate repayment plans. Our recruitment process is accurate, comprehensive, target oriented, and quick. Our services include i) advertising ii) sourcing the right candidate and establishing contact iii) candidate screening, evaluation and scrutiny iv) detailed reference check v) candidate orientation vi) negotiations and hiring assistance vii) post joining follow ups. Healy Consultants can assist our clients by conducting comprehensive due diligence investigations on existing companies or individuals to provide our clients with reliable information while doing business abroad and increase confidence that all material facts are known and understood. 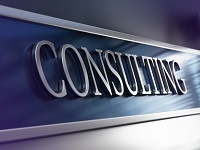 Healy Consultants will be pleased to draft detailed business plans to help our clients visualise their future goals or determine their next option in business growth. Our fee for the same amounts to US$950 for a 10 pages detailed business plan.